Published: April 11, 2018 at 05:00 p.m. Updated: April 16, 2018 at 08:18 p.m. The NFL released the 2018 NFL preseason schedule on Wednesday. The 65-game slate features eight nationally televised games, including a tilt between the Eagles and the Browns at FirstEngery Stadium in Cleveland on Aug. 23 at 8 p.m. ET on FOX. The 2018 preseason will kick off Thursday, Aug. 2 (NBC, 8 p.m. ET), in Canton, Ohio, when the Chicago Bears take on the Baltimore Ravens in the annual Hall of Fame Game. 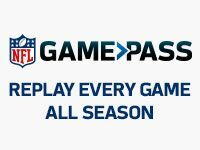 All preseason games will be shown on NFL Network. Specific dates and times for every game will be released later this offseason.